Welcome to my cookbook Cookerypoint - Ila's Kitchen. Today I wanna try a special and easy recipe for Tried and Tasted Event of Ohtastensee. I am gonna try Simple Broccoli Rice recipe from Taste of Pearl City by Umm Mymoonah. 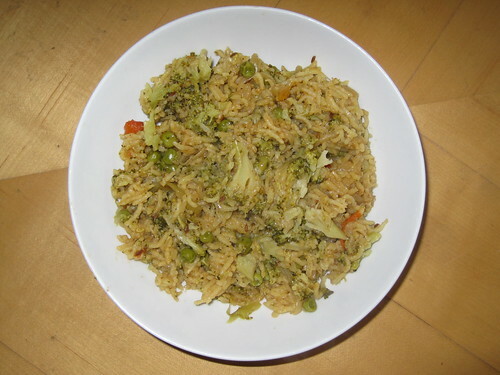 I thank Umm to share such an easy way to use broccoli in rice. Really , we liked this recipe and turned to be a hit in my home. Hope this is an easy way to take such a healthy vegetable. I made simple changes to recipe but the basic recipe is from Umm Mymoonah. Okies..Lets go to our recipe. Wash the broccoli florets and dip it in hot water for 2 minutes. Wash it again in cold water immediately. For best result, fry the rice in ghee. Heat oil in cooker, add cinnamon, cumin, Onion and fry well. Add ginger garlic paste , turmeric powder and garam masala. Fry well. Add broccoli florets and fry for few seconds and add briyani masala. Mix it well and add water and salt. Let the water boil,add rice now and let it cook. When rice and water are mixed well, close the cooker with whistle. Simmer it for 10 minutes. Garnish with corriander leaves. Now, Broccoli Rice is ready to serve. 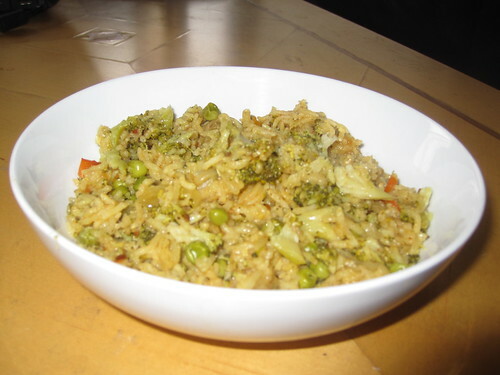 Broccoli Rice is perfect for lunch and can be served with Raitas. I am sending this recipe to Denny's Tried And Tasted Event organized by Lakshmi of Kitchen Chronicles. 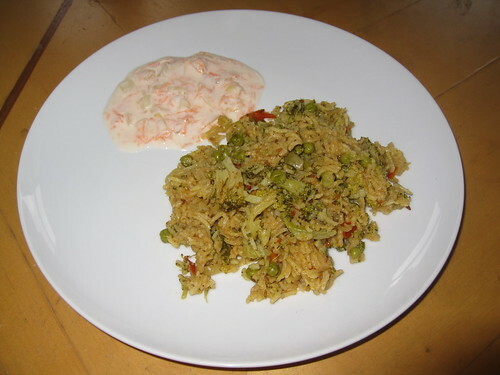 Great recipe... love the broccoli rice..
Rice preparation looks awesome. Drooling over it.First time here,lovey blog u have...i love to follow u..
Rice with broccoli looks so classic, just like veg biryani...yummy! Thanks for stopping by here ..
first time to ur blog.. real good recipe.. this recipe is so colourful and nice..